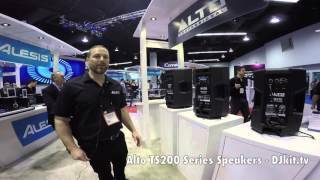 Considering purchasing the Alto Truesonic TS215? Have questions? Ask people who've recently bought one. 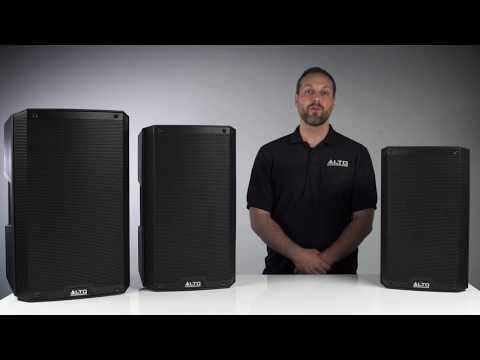 Do you own the Alto Truesonic TS215? Why not write a review based on your experience with it. For mobile DJ's, Youth Clubs, Nightclubs, Anyone ! We own a pair of both these, and the TS115A's, these new speakers have impressed us so much we're in the process of buying three more ! Two of these speakers is more than enough to fill a large room, combine with bas bins to give a near-nightclub sound experience. Hey, at this price why not go for what we did and get 4, the thump from four of these is unreal ! The Alto TS215's have never let me down! Considering their price point, they are great value for money! I think the sound competes with the more expensive brands personally. Providing you don't keep hitting the limit every time, these will last! These speakers are great! My first pair of active speakers and I couldn't be happier. I am a mobile dj and my previous set up was 2 tops and 2 subs ran by 2 amps and a crossfader all which was heavy and a lot of equiptment to cary and set up. These active speakers are so light, have great sound and power and come at a great price! I highly recommend! So glad I decided to buy ! Blown away at the sounds these cabs produce for the price you pay. Definately a convert to the Alto active TS range. I'll be returning to DJ Kit for future purchases too. Absolutely amazing!! Great sound and these are so loud Iâ€™ve used them for a party off 300 people! Fantastic highly recommend! Decided to go with Alto's 15s for my main DJ speaker system. Despite only being a mid range/ high range speaker, it has remarkably good bass! Design is great and has some really sturdy ergonomic handles for movement during gigs. Internal clip protection is an added bonus. Overall I am extremely pleased with this product. With a little help from a pair of TS215S's these can easily cope with rooms of up 300 people. Very good for the price. Very good sound from these tops, brilliant speakers and also excellent servise from djkit. Awesome speaker for the money, plenty of power and great bass response, very slick looking designed cabinet, very similar look to The Yamaha active speakers. Bought a pair of these as I used the older versions of this speaker for over three years without fault and needed a spare pair of speakers for DJ for our busy xmas period, advise covers to protect the cab's and for true club like sound get one or two of the active alto subs to match! Nice bit of kit for the price. Excellent customer service from DJ Kit. Very good unit for the money, used them for 5 hours solid first night, disco 80 people, very good, nice punch. I ordered a couple of these on a Monday afternoon and received them 3 days later on Thursday and I live in southern France. Fantastic service. Yet to try them. Can't wait. I used TS215 speakers as stand a loans last weekend as venue to small for base bins as well. Couldn't believe the sound that came out. Crystal clear and very load. Cant wait to pair them up with my Alto 15'' Base bins. Great sound and great value. I've used passive speakers for many years and have now moved to these active speakers and all I can say is WOW! The sound quality is much better with these! highly recommend them! the power of this ts215 is unbelievable!! wouldn't change it for anything!! First impression I got was doubtful as to whether these would have enough bottom end and performance as they were so light, I have passive 12" Studiomaster venture 12's that are slighlty smaller but alot heavier and... I was pleasently surprised at how amazing these sounded once I hooked them up. The bass was full, the tweeter was sharp, the mid was a bit flat but warm (not really an issue if your mixer has a mid eq). Already used these speakers at 2 gigs pounding them continuously for 4 hours, not once did they fail or give any signs of distortion. I have some Behringer 15" speakers and these Alto's sound more detailed, there is no comparison in power as I only had these up at half the volume I would normally have the Behringers at full. These will never be maxed if you are a dj playing in pubs or small halls/events up to 100 people, very light and easy to move around. I would highly recommend them without a doubt if you are a mobile dj and want something with a bit of boom but easy enough to transport. Cant be beaten for price, very light as well. 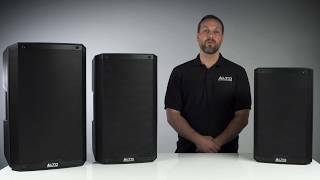 Seen a video for Alto Truesonic TS215 online or have you own video? 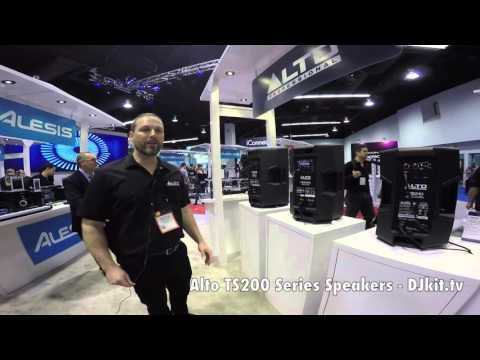 Check out Alto Truesonic TS215 on DJkit.com!